If you primarily watch HD content - whether its TV, movies, sports or video games, this is a steal. While the price of some premium 4K TVs is falling rapidly, there are some ‘less premium’ models hitting the market that are dramatically cheaper. And they’re pretty good too. TCL’s $1799, 55-inch C155US is one of them and, coming in at less-than-half of the price of the latest Sony flagship equivalent we wondered, is it really worth paying more? Things got off to an interesting start. Without adjusting picture settings, regular TV watching on upscaled Standard Definition TV looked generally impressive. However, areas of bright colour were displayed as areas of *****BRIGHT***** colour to a point where the regular picture was accented with out-of-place super-distracting fluorescent colour patches. You can dial colours down by changing the picture mode but while we did find that, for instance, Digital Cinema mode provided neutral, realistic colours, the all-round vibrancy of the colourful images that we’ve seen with recent Sony launches and LG’s OLED TV wasn’t there (and bright, exterior shots could look washed out). But you pay a lot for that and most people won’t complain with the flatter tones seen here. 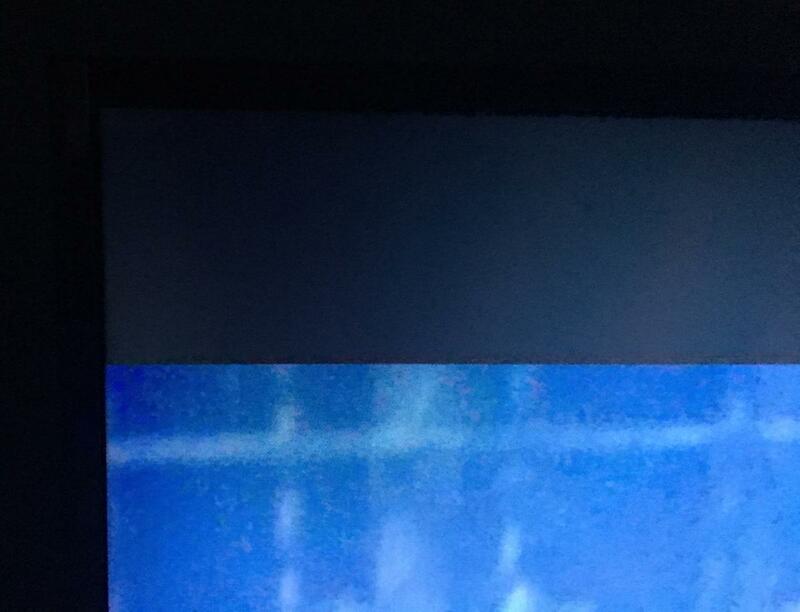 More importantly, upscaling on LG’s TVs is actually worse than TCL’s. The edges on upscaled areas here were generally sharper than on the LG which all too often displayed edges with a great degree of pixelation when viewing standard definition content. That said, the LG fights back (at least a little) with its processing of uniform areas of colour. 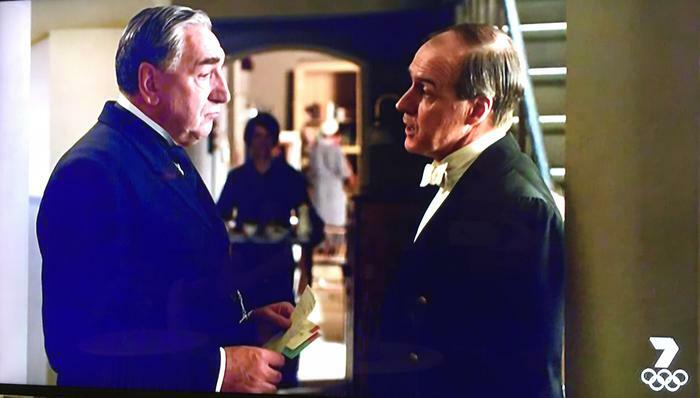 In a Standard Definition broadcast of Downton Abbey, for instance, you can see from our picture that while the upscaling is quite good when it comes to producing crisp edges around the characters, areas of uniform colour ran amok. On this occasion the dark coats are displayed with dark blue, blocky artefacts swarming over them to the point of distraction. This blocky mess could appear in any low-contrast, low-detailed areas regardless of image resolution. It’s not a deal breaker, but you’re less likely to see such interference on the top brands. Mr Carson, your coat glows blue. However, really bad YouTube videos at 480p were impressively watchable thanks to the motion smoothing and sharp upscaling. 4K YouTube demos looked as stunning as ever. They might not be as crystal clear and sharp as more-expensive models across the whole screen, but they’re not far off. In general, High Definition content saw a big improvement in what was displayed. Watching HD TV and movies using Foxtel cable was good and the Motion Smoothing feature just managed to avoid the Soap Opera Effect whereby characters in a scene start looking (distractingly) like actors in makeup, on a set. The motion smoothing also meant that areas of fast moving items on screen rarely juddered. Moving up to Blu-ray and a proper 1080p, 24fps movie picture, things looked very impressive indeed. Detail was crisp, colours were neutral and motion was smooth. While the letterbox bars weren’t quite as good as we’d seen from the Sony flagship (and an even further step away from LG’s OLED), they really weren’t half bad. You could only really tell they were there with all the lights off. Contrast on this screen really is quite impressive. Light shining through letterbox bars is noticeable in a dark room, but generally, in High Definition, contrast and true-black performance was impressive. Moving up to 4K - which is now simple to do with a decent internet connection and Netflix - we watched some of Netflix’s original series which come not just in 4K but 4K with High Dynamic Range. This technology expands a traditional 8-bit colour gamut to become 10-bit - thanks largely to extra light-sensor information captured during recording. It means you can see more detail in dark areas while they stay dark. While the TCL isn’t compatible with HDR, the picture quality really wasn’t very different compared with the Sony or LG when watching this content. It looked very good and not noticeably different to its more-expensive rivals. Truth be told, TCL’s Motion Smoothing performance in this test actually beat the big boys which could suffer from major juddering when fast motion appeared. Seriously, when watching Daredevil on this TV you likely won’t be missing any other TV that’s on the market at all. In other areas - video games looked great and there were no controller lag issues that we noticed. HD soccer matches on Foxtel looked very good in Stadium mode with the extra vibrant colours looking very realistic and immersive and the motion smoothing worked well. In less high-definition football broadcasts, players could still look like pixelated blobs, but there’s only so much missing detail any 4K upscaler can do on any TV. Sound was also very impressive - this can be a disappointment on cheap (and thin) TVs but we were actually impressed. Indeed, the sound offered up by TCL might actually beat the new Sonys which, we were told by Sony management, was because its customers would normally buy dedicated sound bars: Sony hadn’t focused on improving its built-in speakers this year. The TCL speakers get loud and offer well-rounded performance. They're not quite as crisp as LG’s Harmon Kardon-based units, but it’s impressive and enjoyable despite nonetheless. An area where the TCL can’t compete is interface. While, TCL’s bespoke system is usable for day-to-day tasks (it even has a dedicated Netflix app button on the remote) LG’s WebOS and Sony’s Android TV system offer a heap more features like voice control and Wii-like point and click navigation. But while they’re nice to have, they come at a huge cost. The TCL also comes with a small, plasticy second remote which offers quick navigation functions for Netflix, YouTube and Media Center features (for USB-based content). It doesn’t really add much beyond reminding you that you’ve bought a cheap TV. All in all, there's much to like about this TV. Thanks to Netflix and a bunch of nascent Ultra High Definition online content stores it’s now worthwhile buying a 4K TV so long as you have the internet streaming speeds to support it (roughly 20Mb/s consistent download). If you watch a lot of network television and standard definition cable TV, you may be disappointed with some of what you watch thanks to blocky artefacts in uniform colour areas, but then we’ve criticised LG’s standard definition performance before too. Meanwhile Sony’s new 65-inch, $5,999 X9300D flagship is only slightly better than its $1500-cheaper, X8500D sibling. Before deciding, it’s also probably worth waiting a little longer to see what HiSense brings to the table with its impressive-looking Series 7 ULED range. This has an HDR-compatible 65-inch model for $500 more than the TCL's equivalent and first impressions are very good indeed. Right now, we’d rather have the Sony as its all-round performance, while not perfect, is unrivalled. But the range is around twice the price of TCL’s and High Definition performance is not that much better at all in some instances. So while TV’s do get slightly better as they become a lot more expensive, the cheaper ones, like this, really aren’t bad at all these days. TCL's C1 series represents great value and if you plan on primarily watching High Definition (and beyond) content on it, it’s an absolute bargain.